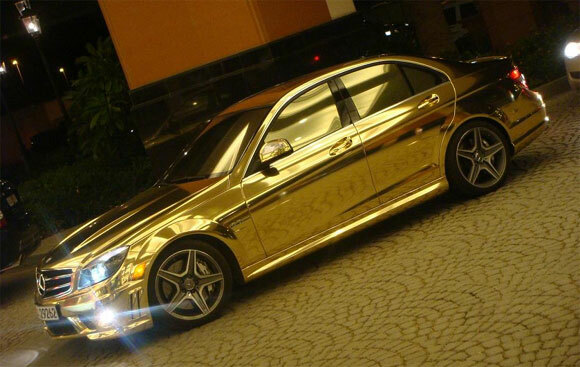 Well, that just goes to show, having a lot of money is no guarantee of good taste . . . . I am frequently blinded by sun glare off rear windows. I can only imagine the treat it must be driving anywhere near that car in sunny Dubai. EDIT: I wonder why they didn't continue the gold with the wheels. Mercedes should do what Rolls Royce used to do. If an owner did this to a Roller the company would take the car back. This owner needs to go to a re-education camp! "I have no convictions ... I blow with the wind, and the prevailing wind happens to be from Vichy"